Back orders come in handy when you deal with pre-orders or when the situation allows you to make stock purchases only when you receive orders from your customers. Before performing this operation, ensure that all products which you need to back order are tagged to at least one supplier. To tag your product to supplier(s), edit your product and select one or more supplier from the Default Suppliers drop down list. 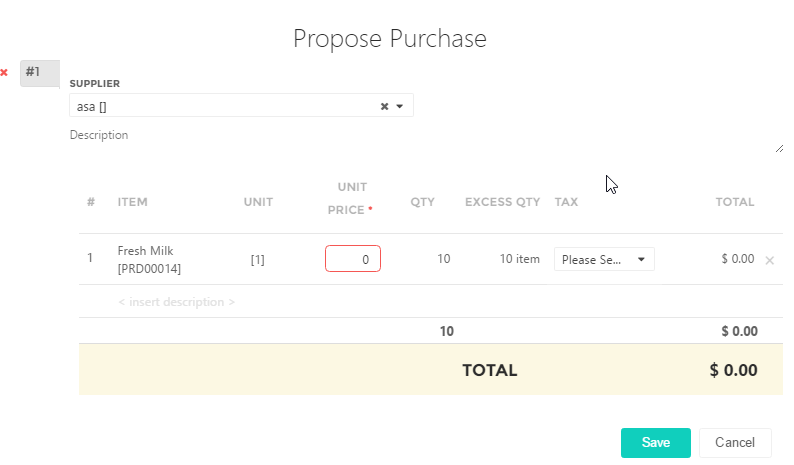 A popup with a list of all Sales Order item(s) ready to be ordered will be displayed. Each item is being automatically assigned to a supplier. You may change the supplier to order from as well as remove any Sales Order item(s) to omit them from the purchase. All products to be purchased must be assigned to at least 1 supplier.